As Captain America: Civil War rolls out worldwide, it’s time to look back on some of the more Spoiler aspects of the movie. If you haven’t seen the movie you may want to turn back now. You’ve been warned. Now that the movie is out, at least in some parts of the world, avoiding spoilers is going to be increasingly difficult. If you haven’t seen the movie, and want to remain spoiler free, then don’t read any further. Though others may try, there is no greater, fictional, detective than Sherlock Holmes. 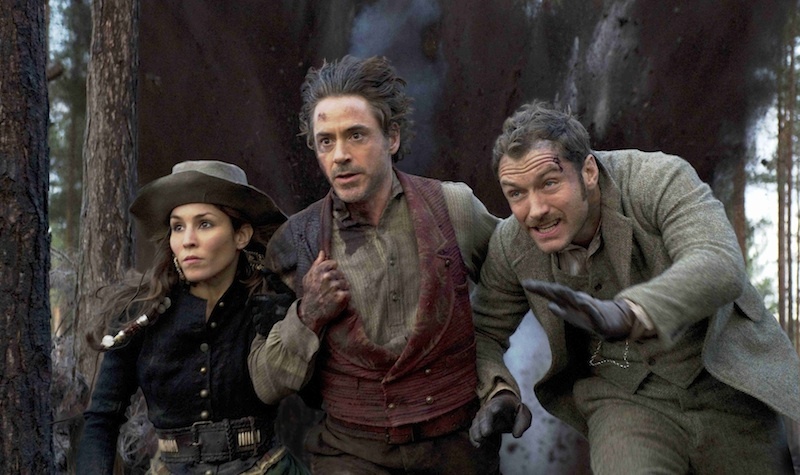 Originally created by Sir Arthur Conan Doyle, Holmes has gone on to be the star of many adaptations, including Guy Richie’s extremely successful 2009 film. On the 16th of December, a sequel, also directed by Guy Richie, will hit cinemas, but will it be able to live up the high expectations of the excited fans? The story picks up were the first one left off. 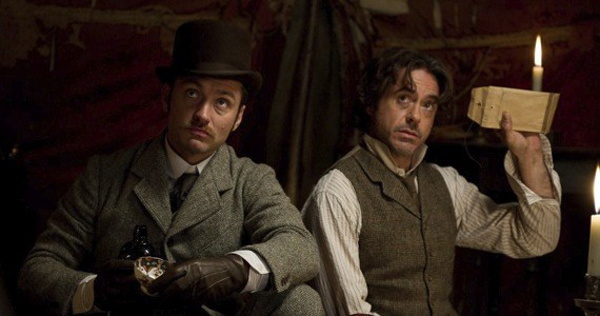 Holmes, played by Robert Downey Jr., is hot on the trail of Professor Moriarty, played by Jared Harris. The film starts off with a, much too short, cameo appearance from Rachel McAdams who plays the infamous Irene Adler. In her place, as this film’s female character, is Sim, a fortune teller played by Swedish actress Noomi Rapace. 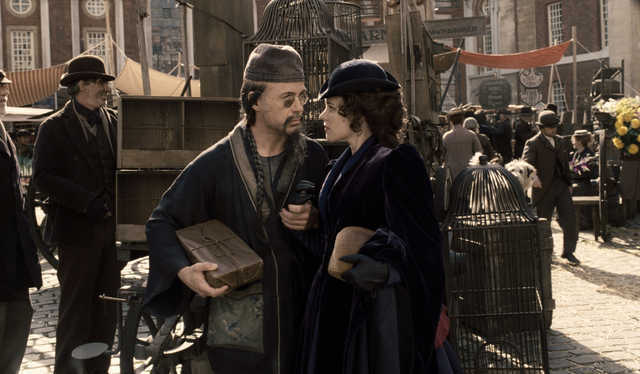 This is Rapace’s first English speaking role, but she did a great job and Stephen Fry also appears in the film as Sherlock’s brother Mycroft. I really enjoyed it, I went in with high expectations and they were exceeded. One thing I would say though is that I wasn’t expecting Moriarty’s face to be revealed so soon. They went through so much trouble to hide it in the first movie that it seems odd them showing it not only early in the film, but also in the trailer. Though it did lead to some interesting scenes between Holmes and Moriarty, I couldn’t help thinking that Moriarty had plenty of opportunities to kill Sherlock. However, I’m glad he didn’t make use of these opportunities as the rest of the adventure is an interesting ride full of twists and turns that recall earlier parts of the film that you didn’t think were important, which is one of my favourite things about these movies. If, like me, you lack the observation skills that Holmes has, don’t worry as the plot is very clear and at the end of the film you’ll understand it all. If not, well you can Google it later and the scenery alone is enough to keep you occupied in the unlikely event that you get completely lost. I don’t know how they did it, but it really looks and feels like the late 1800s, which is important because if the look’s off then it’s harder to get engrossed in the world that they’ve made. 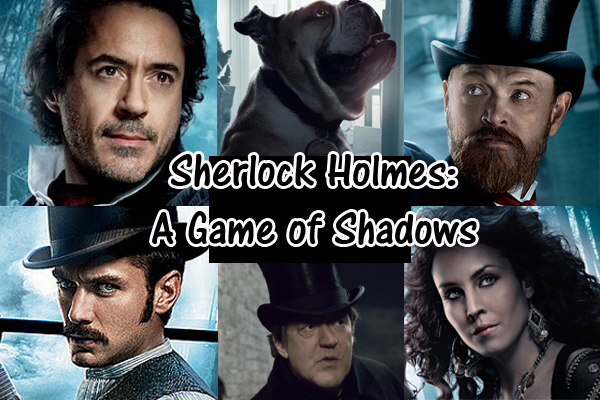 Sherlock Holmes: A Game of Shadows, or Sherlock Holmes 2, is a fantastic movie that, in my eyes, surpasses to original and maybe even steals the trophy of film of the year. What do you think? Do you have keen observation skills? Would you like to see the new Sherlock Holmes film? Are you team Sherlock or team Moriarty? Let me know by voting and leaving a comment below. Also don’t forget to subscribe/follow and click the like button. If you really want to keep up to date with the blog, and some other up and coming projects, then you can follow me, AdamODwyer1, on Twitter. After ten years of safety, Sidney, Dewey and Gale must once again race against time to figure out who the killer is before it’s too late. Today I went to see Scream 4 (Scre4m). I was so nervous it would be sold out that I rushed to the cinema over an hour in advanced and had to wait around after buying my ticket. There ended up only being around twenty people in the cinema. Am I mad about it? No, because the movie was amazing. It’s tradition for a Scream movie to start by killing off someone famous in a really cool opening death sequence. This time they took it a step further; reminding fans that there’s still some comedy left in the franchise. From the get go, you can really feel just how much thought and effort has gone into this film. A lot has happened between the third and fourth movies. Sidney has written a book about how to stop being a victim, Dewey has become sheriff and Gale’s given up being a reporter and is suffering from writer’s block which is preventing her starting her new book. As the film opens, Sidney is returning to Woodsboro, were Dewey and Gale are living, as part of her book tour. Arriving back in her home town brings on more nostalgia than she’d have liked as killings begin yet again. The movie was extremely well done and I honestly didn’t see the end coming. I suspected nearly everyone at one stage or another. The theme of the film is remakes/reboots. If sales go well this is planned to be the start of a new trilogy. Though the movie isn’t actually a reboot, if you look out, you won’t need to look very hard, you’ll notice that some elements are reminiscent of the original films. As a fan of the first three, this sense of déjà vu was very much appreciated. They did a great job missing the new with the old, as both generations of the story pieced together very well. It’s been a long time since the first movies and the rules have changed. Forget virgins surviving and black people dying first, the new rules are simple basically the only way to survive is by being gay. Revisiting the original trio is great and it’s clear that Sidney really has stopped being a victim. She’s a fighter now, but will it be enough to ensure her survival yet again? What do you think? Let me know by voting and leaving a comment below. If you want to watch the film without any spoilers I recommending seeing it as soon as possible as the identity of the killer has already leaked onto the web. I managed to avoid finding out and it made the film much more enjoyable. Just wanted to put this on the end, I’ve seen the third Scream movie many times and didn’t realise this until my friend said it when we re-watched it last night. The film ends in a cliff-hanger; what movie are they going to watch? It never says and they didn’t even answer it in the fourth one. Last week saw the return of Grey’s Anatomy and fans were treated to a double episode. I’m not a massive fan, but I do drift in and out every now and then. I saw the double episode and I have to admit it wasn’t horrible. Sure it still has the depressive overtones that the writers seem unable to go without, but there were some storylines that actually seem interesting. Shepherd is living life on the edge, which in the world of Grey’s Anatomy means speeding. Meredith has yet to tell him she lost the baby; actually she still hasn’t told him she was pregnant in the first place. Each of the characters must see a therapist to get cleared for surgery or they can’t operate. Oh and Christina’s getting married. Meredith leaves Derek in jail and he misses the wedding, but it was to teach him a lesson. Christina get’s married. Meredith tells Derek and the therapist about the baby and gets cleared for surgery, but before that Christina is prematurely cleared and has a breakdown in the OR (Operating Room). Also Callie invited her girlfriend to move in with her. That should be all you need to know to watch next week’s episode. Now for a glimpse into the future, this part contains mild spoilers, or teasers, so you may not want to read on. Meredith and Derek receive disturbing news from the obstetrician, which is the surgical version of a midwife, and victims of a car accident are brought in. Don’t forget to let me know what you thought of the episode by commenting below.